Few young businesses have piles of cash for marketing but I’ll take the challenge of thinking hard about where to spend marketing dollars any day. 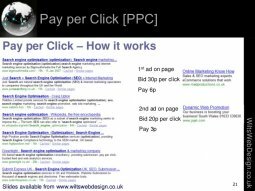 One way we’ve had success is with tightly run, highly measured pay-per-click programs. 3. Test lots of markets. Our online collaboration tool is used in 165 countries and is available in eight languages. We market directly to these different audiences using the appropriate language. If an ad is working in a certain market, we’ll test the same copy in another market but, remember, there are subtle nuances in each language. For example, the French word for "management" (gestion) implies "financial" management, so we've added extra descriptors in our ad copy to ensure we're not paying for clicks from French visitors looking to get a handle on their personal finances. 4. Tests quickly point to the right direction. More often than not, the simplest, briefest version of your page will be the most effective. Always start with some basic best practices, create your hypothesis and then test everything - headline, buttons, video, CTA placement and so on. It’s a sure-fire way to validate what you’ve learned.